We were headed to Marco Polo Plaza Cebu and were near the Banilad flyover on our way to the IT Park when Waze, the driving application I was running on my phone, gave the direction to turn right. Waze had determined, by going through its database of roads in Cebu and reports of traffic conditions sent in by users, that the quickest route for us was to go to that neighborhood behind Gaisano Country Mall, pass through Camp Lapu-Lapu and a small side road and emerge on our way up to the hotel. 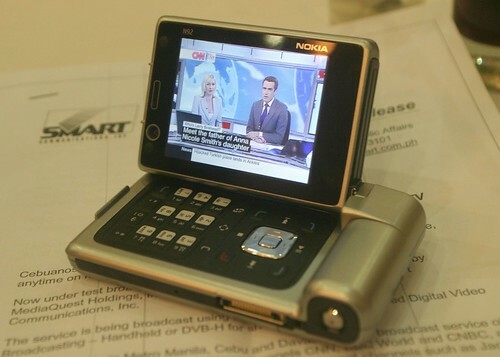 Nokia formally launched in Cebu last week its latest model in the XpressMusic product line, the Nokia 5800. The XpressMusic line is Nokia’s answer to Sony Ericsson’s Walkman phones, devices that are designed for music playing. The features of the Nokia 5800 are formidable—it comes with all the features you’d expect from a modern phone plus touchscreen control, built-in A-GPS, wi-fi connectivity, high resolution 3.2-inch display, and a 3.2 megapixel built-in camera with Carl Zeiss optics and dual LED flash. NOKIA 5800. Nikka Singson-Abes, corporate communications manager of Nokia Philippines, holds the Nokia 5800 during its launching in Cebu. Google released last week a new version of its Google Maps for Mobile application. The release, as with many of Google’s products, is designated “beta,” a label used for software that is still being actively tested and not yet released to the public. I’ve read about mobile maps applications before, including the earlier Google versions, but I never bothered trying it out because I don’t travel much. In fact my daily travel is such a routine I can tell you what size of potholes are located in which part of the highways in Mandaue and Lapu-Lapu Cities. GOOGLE MAPS FOR MOBILE. A satellite photo of Fuente Osmena rotunda as seen through the Google Maps for mobile application running in my Sony Ericsson K750i. Click on photo to enlarge. But what caught my interest in last week’s announcement is a new feature in Google Maps: it can now plot your location using the cellphone towers of your mobile network. The application then displays a blue dot showing a bigger light blue circle to display your approximate location. That feature is called My Location. Previously, you can plot your locations in mapping applications if you have a GPS (global position system) device or module. With the new Google application, the software can plot your location via triangulation of your position using the cellphone towers that connect your phone to your mobile network. It was love at first note when I heard Amy Winehouse sing. Her voice exudes raw emotion unmatched in decades. I first played my copy of her Back to Black album in Rhythmbox in my Linux laptop, while I was struggling with getting a graphical interface to Subversion working. When I heard her sing, it was as if I mangled my system and did an svn merge that automagically produced a track from my collection of songs of Dinah Washington, Billie Holiday, Sarah Vaughan, Eartha Kitt, and Dodo Greene. I finally settled with using RapidSVN but I wouldn’t settle with the few Amy Winehouse songs I had. I browsed YouTube to view videos of her performances (especially her AOL sessions) and played them over and over again. Over and over and over again. I wanted to sleep to her songs. I didn’t want, however, to leave the laptop and the modem router on. The siren’s calls were too strong, I knew I had to have her songs in my MP3 player. Luckily, I had bookmarked VConvert.net weeks earlier, when I spotted a link to it in the popular bookmarks page of del.icio.us. I was finally able to run an Apache, PHP, MySQL server on my Sony Ericsson K750i. I did it on my second attempt, the first was disastrous, and that’s putting it mildly, as I crashed my phone and I had to reformat its memory card, wiping out several photos I haven’t been able to save to my PC yet. I have long wanted to set up a development web server in my K750i, which also serves as my primary USB drive. WORDPRESS ON MY PHONE. Installing WordPress on my K750i, using Uniform Server. The phone doesn’t actually run it, its memory card is merely being used by the PC to run the server. Click on image to enlarge. I use my shared hosting space for my WordPress-related work and experiments as well as tests on PHP/MySQL scripts that catch my interest. This setup is such a hassle. I have to FTP files to and from the server and sometimes connections can be so slow that frustration creeps in. The files in my account have also become such a mess because I’ve tried quite a few scripts, each with its own sub-domain. I decided I should have a “web server on a stick,” a functioning Apache, MySQL and PHP server on a thumb drive. 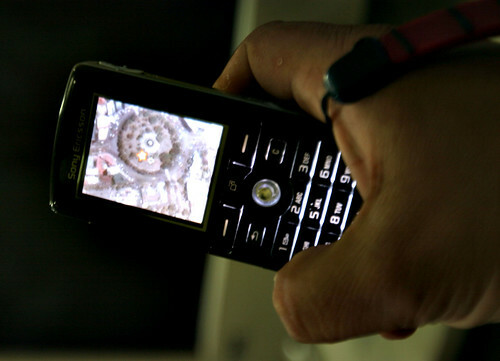 The Sony Ericsson K750i, as with most multi-media phones, also serves as a USB mass storage drive. This makes it possible to set up an Apache server on its memory card.